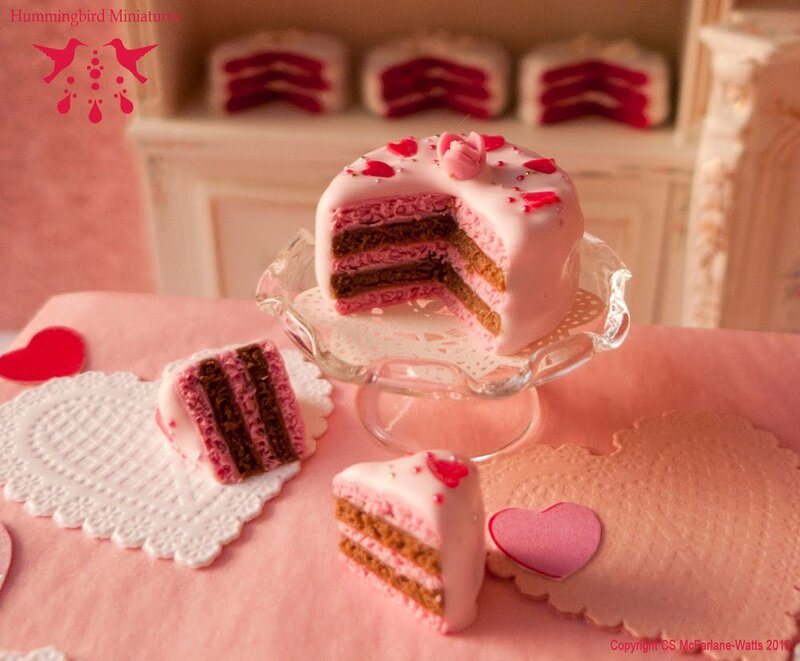 I've made a special edition Valentine's Day cake, which is moist-looking layered chocolate and pink cake with pink frosting, sprinkles and candy hearts and rosebud on a little white doily. 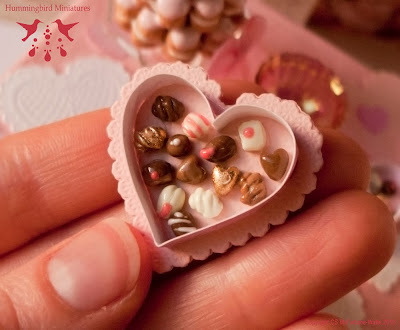 Handmade in 1:12 (one inch) scale! 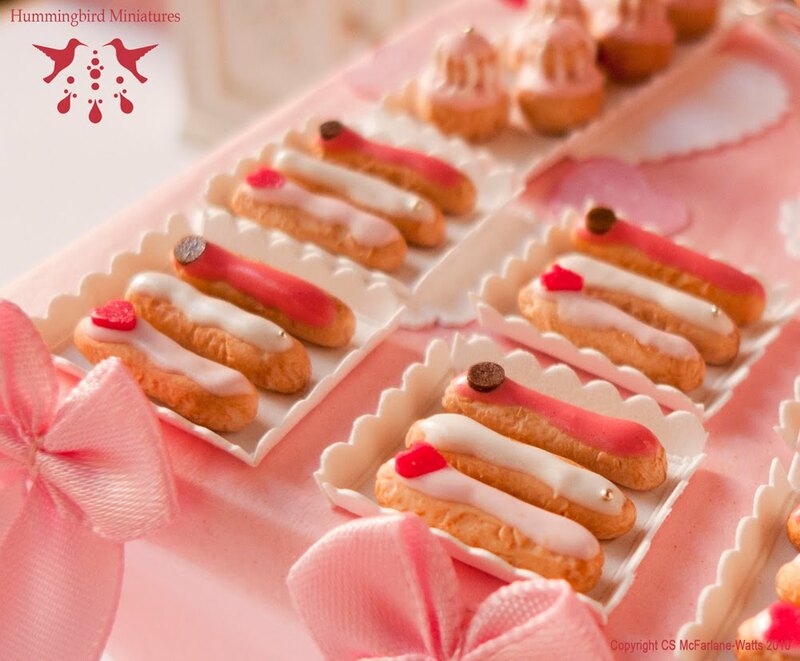 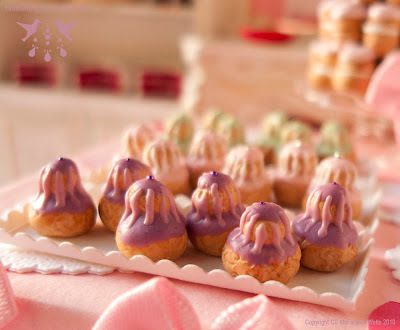 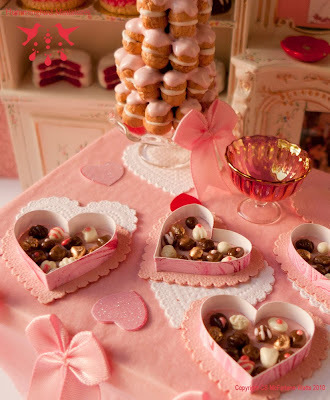 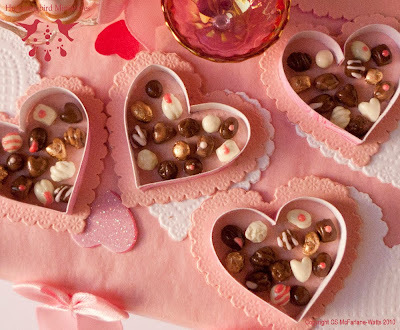 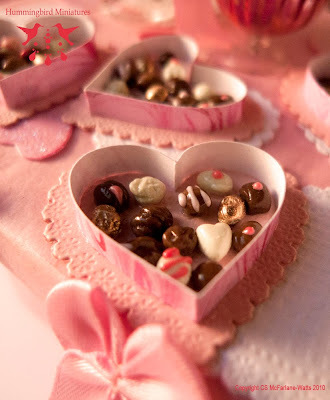 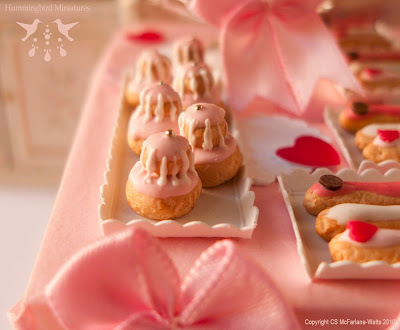 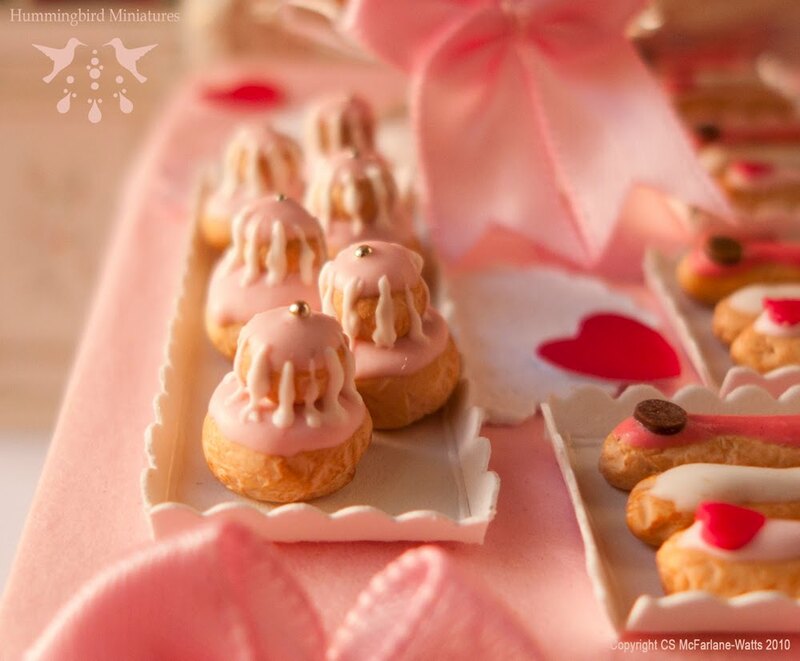 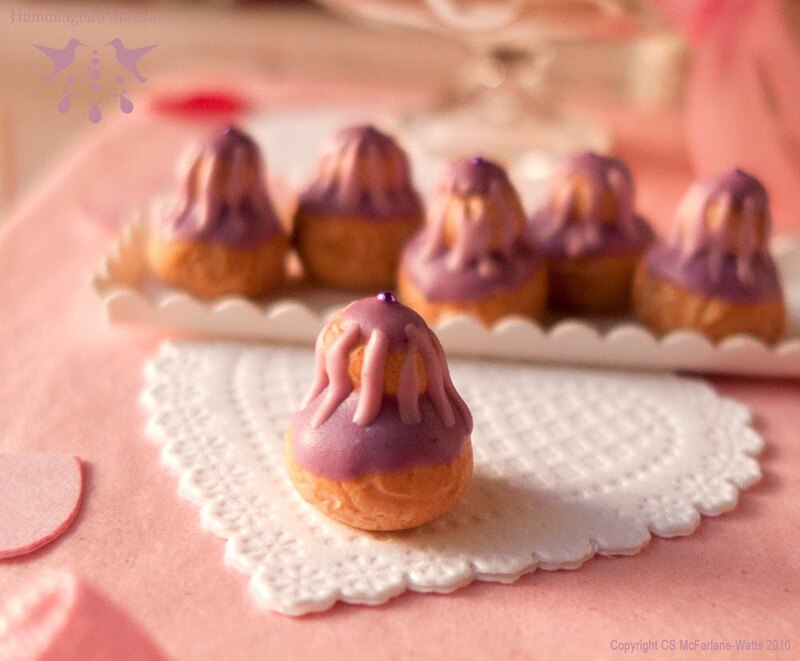 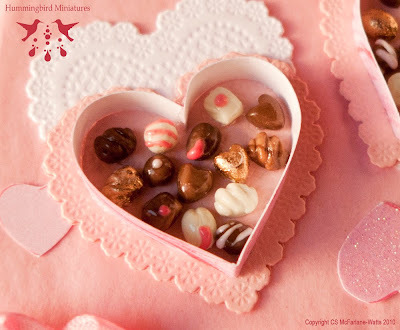 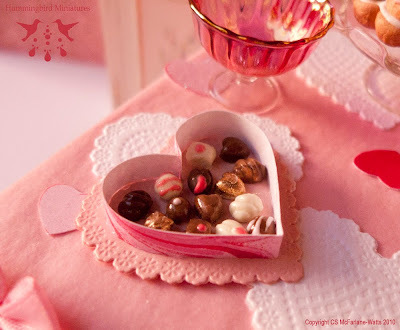 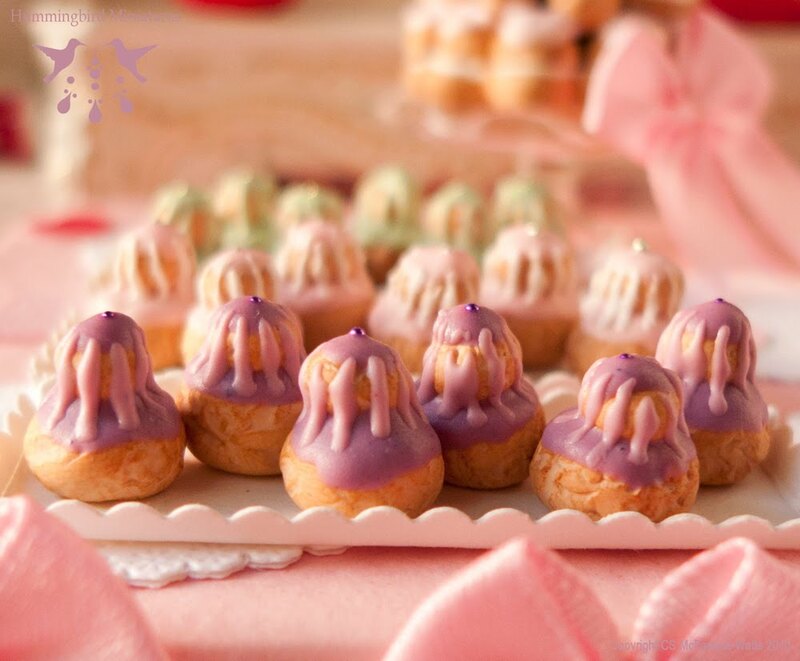 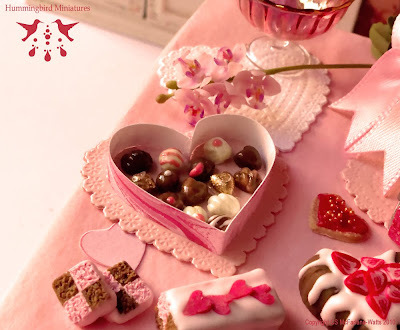 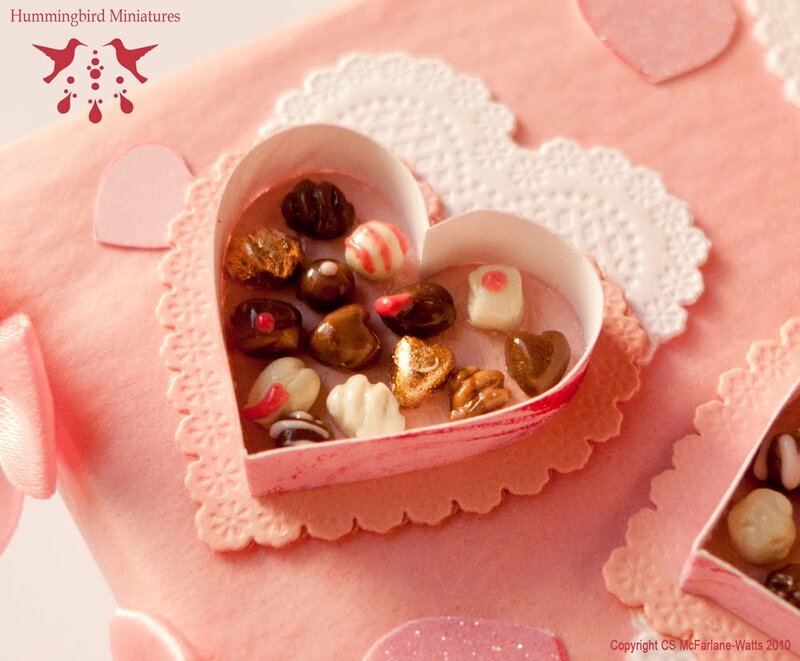 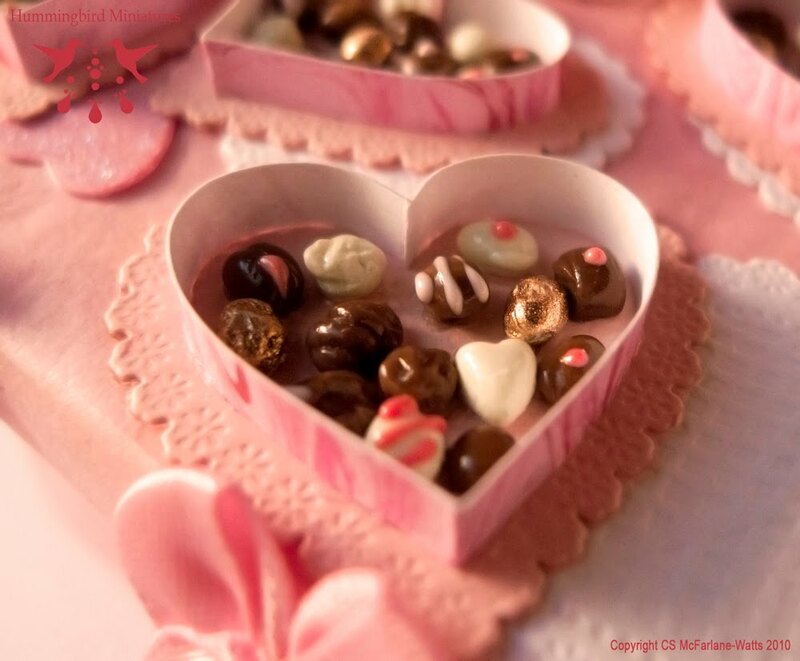 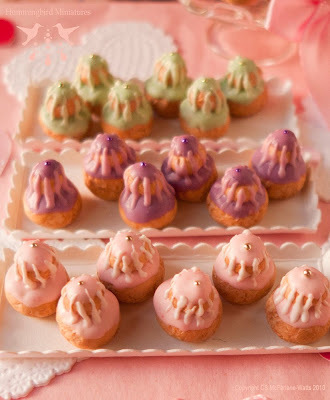 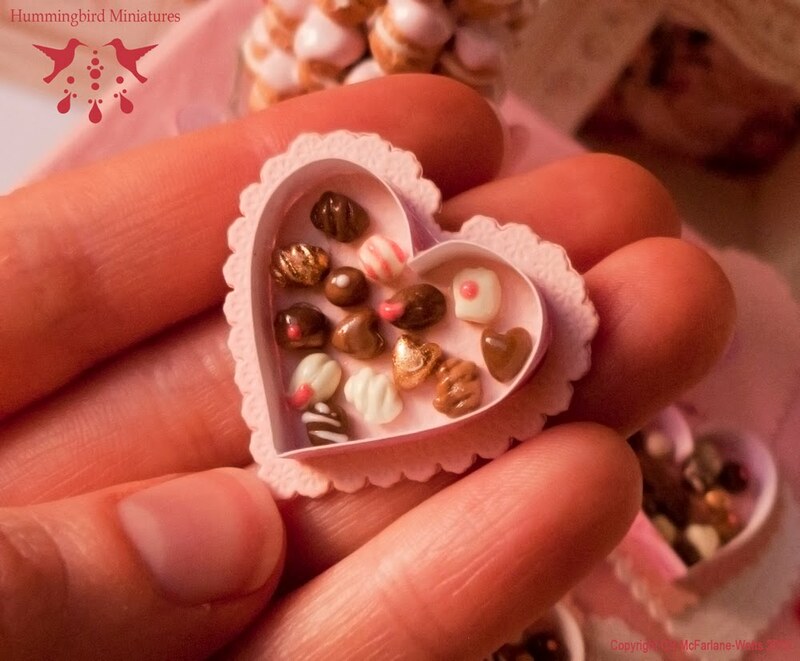 With Valentine's Day on the way this is a detailed tray of romantic Valentine's eclairs in adorable 1:12 (one inch) scale! 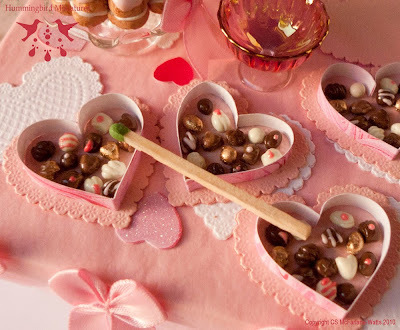 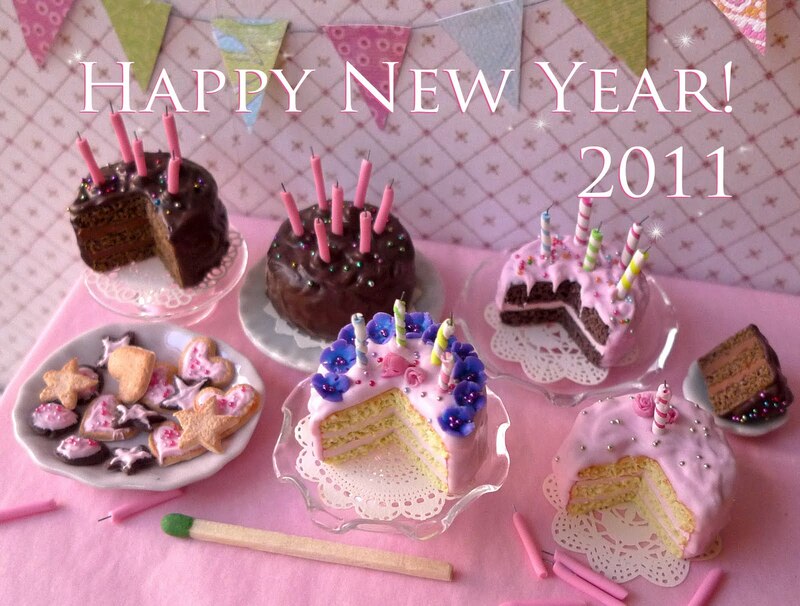 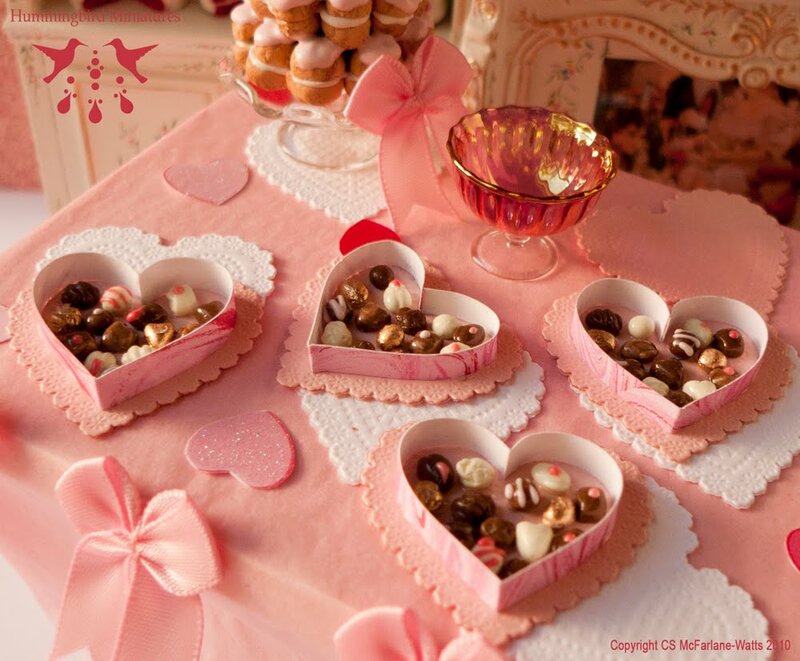 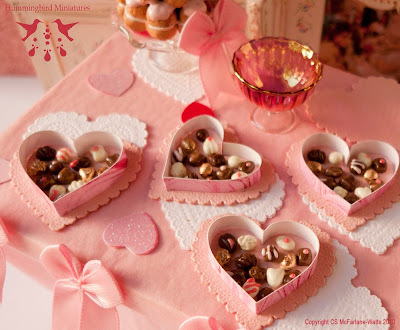 I've put three eclairs with icing in shades of pink and white and decorated with a candy heart, chocolate confetti and a silver sprinkle on little patisserie trays like the ones you get at a patisserie in France. Have you ever seen the violet religieuse at Laduree? So pretty! 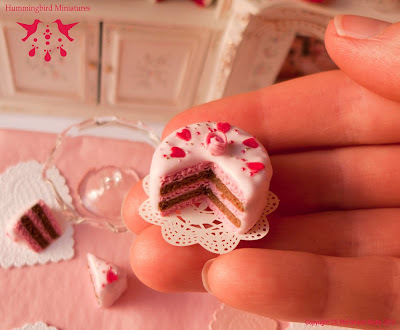 I've made some in 1:12 (one inch) scale and they're ever so detailed and realistic. Part of my Valentine's Range 2011. 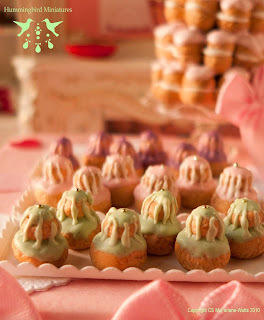 Pistachio Religieuse - pretty green French pastries! I just adore the pretty pistachio religieuse (in French known as Religieuse Pistache) at Laduree. 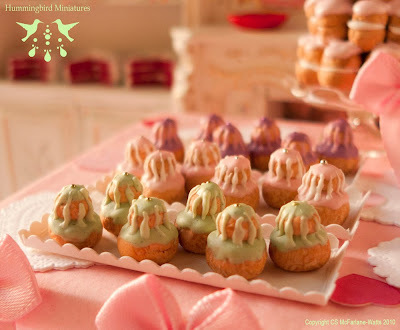 They have pale green icing and look spectacular amidst all the more usual pink cakes. 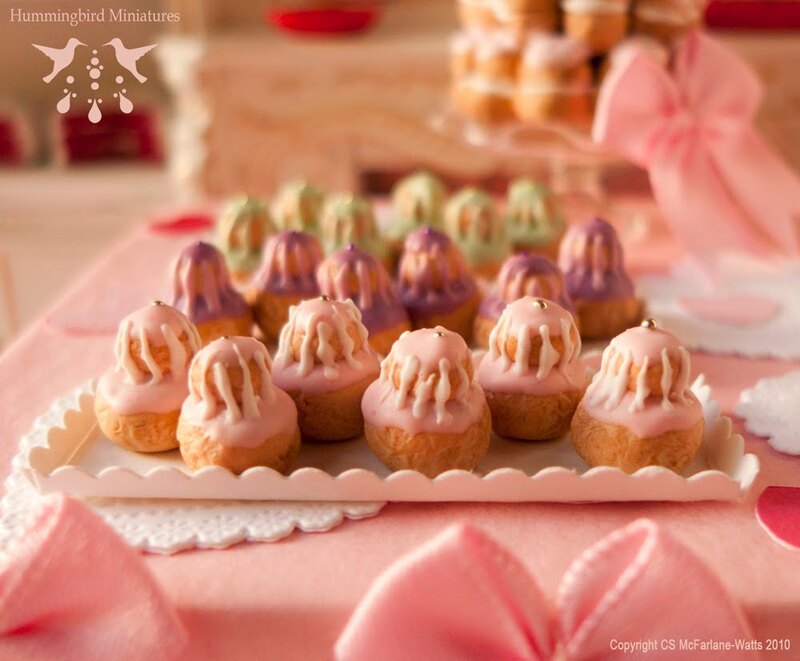 Re-created in tiny 1:12 (one inch) scale, my little dollhouse miniature pistachio religieuse are fairly detailed. 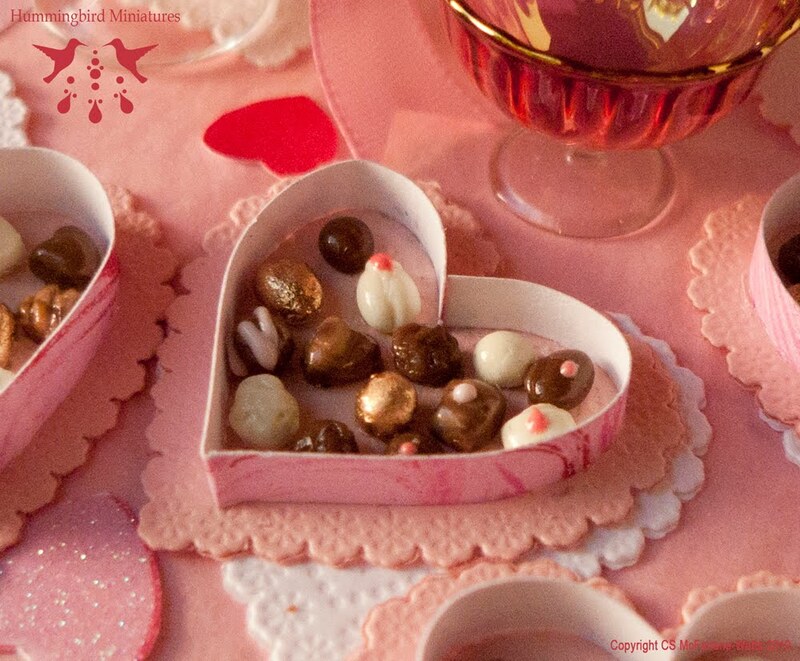 Part of the Valentine's Range 2011 coming soon at my online Etsy store. 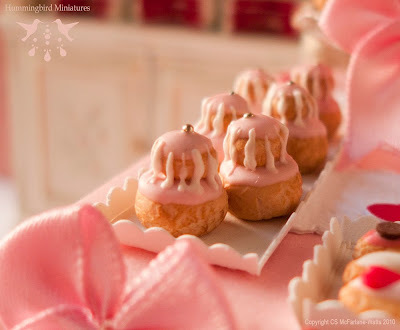 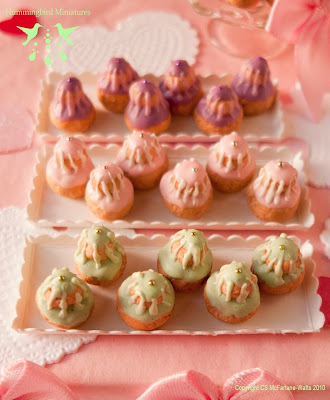 With Valentine's Day looming I've been inspired by exquisite patisseries like Laduree to make really fine pink pastries. 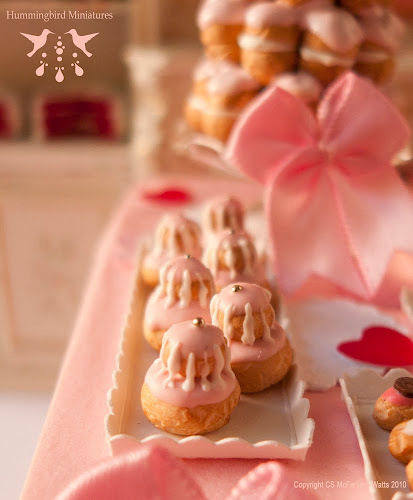 Here's my first product in my Valentine's Range 2011 - it's a Pink Religieuse (popular sweet cream filled French pastry) and I referenced a real religieuse from Laduree to make it as realistic as possible. 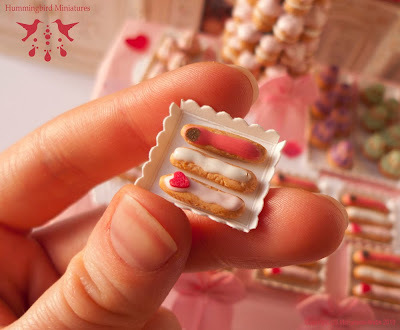 A lot of time and care has gone into these very tiny detailed pastries I can tell you! 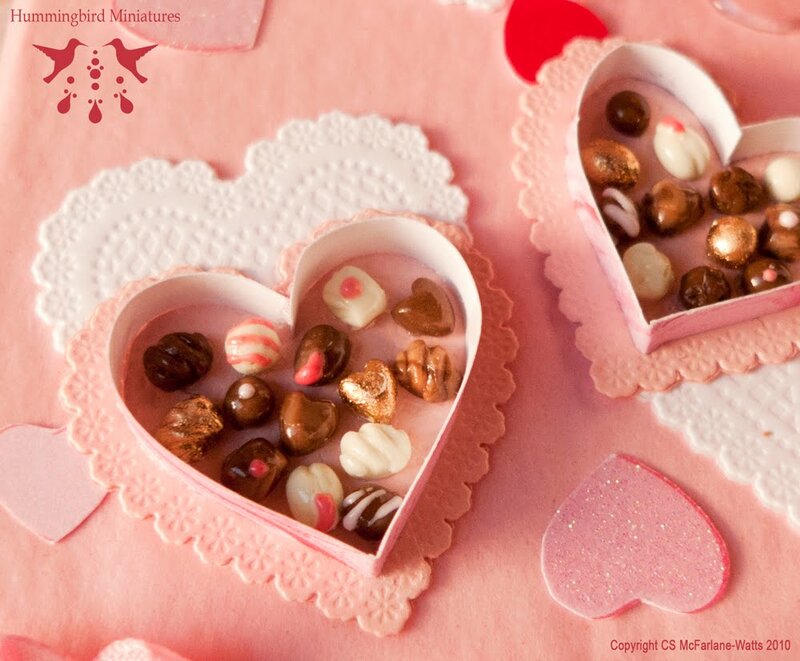 Stay tuned for more of my new Valentine's Day range - I'll share lots of items in the weeks leading up to Valentine's Day. All 1:12 scale (1 inch scale).